We are a friendly, family run business, established since 1983 based in West Molesey, Surrey. Our commercial work includes general crash repairs to resprays with the capability to house and work on commercial vehicles – to a low cost, high value standard. We can carry out body styling for any cars which includes body kits made and fitted to requirements. We also can fit tyres and install sound systems. In short we will work to meet any other requirements you have for changing and modernising your vehicle. Finally, we still carry out general repairs to cars and vans, including resprays and crash repairs. We offer free collection and delivery of any vehicle of any size as some of our drivers have HGV licenses. 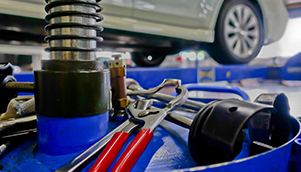 If you need crash repairs or general car repairs in Surrey, particularly if you live or work in the Walton, Esher, Staines, Hersham and Thames Ditton area, please get in touch for a low cost, high quality service. Have you had a crash and need a quote for the repair? Do you want to respray your vehicle? D&B Coachworks can offer these services and many more. Simply click on the image above for a FREE estimate. D&B Coachworks offer a huge range of services, from resprays to body styling, restoration to air brushing for vehicles big and small. Click on the image above to browse our full range of services. 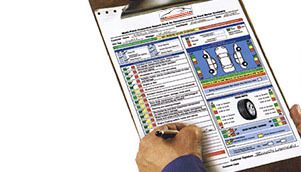 Do you need an MOT and service for your vehicle? Our partners at DB MOT offer MOTs services from £45 with a free courtesy car (subject to availability) Click on the image above to visit their site.